Roller skaters use the Grand Prix track during its annual Grand Prix View event. Photo by Brian Addison. In all reality, the first ciclovía Long Beach ever had wasn’t through a Beach Streets event but, rather, on the Grand Prix track. 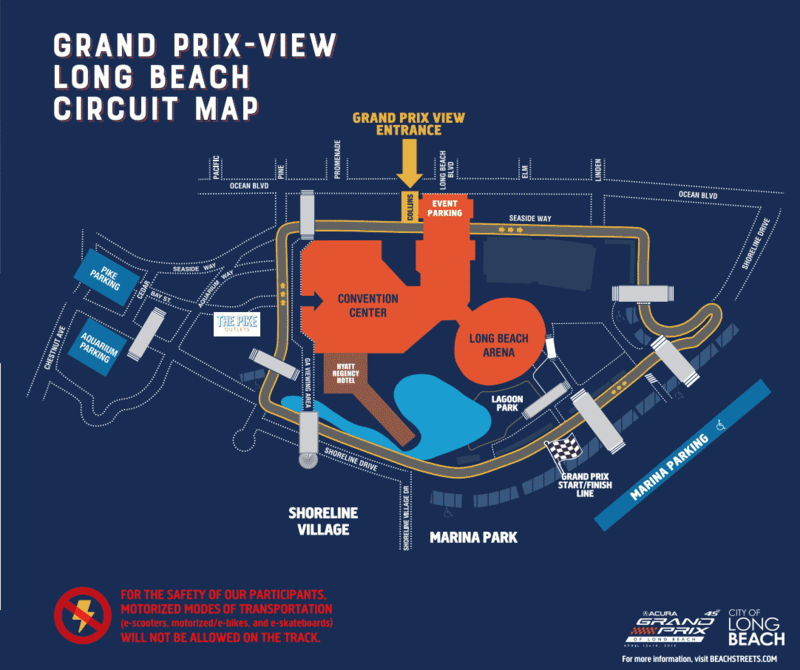 Way back in 2013, the city of Long Beach—with efforts led by Bike Ambassador Tony Cruz—asked the Grand Prix Association to briefly shut down the track typically catering to cars hitting 180 mph and, instead, open it to bikes, skaters, strollers and runners. Despite the complaints of myself and others, the hours of the event have not expanded and it still runs in the middle of the week (on a Tuesday) in the middle of the day (because apparently people who work should be relegated to their office). While there were previous efforts to score additional funding for the project via Metro, the city has yet to expand the event to make it more accessible. Complaining aside, there is something more engaging and powerful here. What events like these show off is something very simple; they show off the power of people using their bodies. For many walkers and bicyclists, a ciclovía holds this strange philosophical power—you invert a street to be used for people’s feet and bikes and skateboards, not cars—that when enacted, suddenly shows off a very tangible benefit—that our urban landscape thrives best when people are exploring it at a human scale. The Grand Prix-View will take place at the track on Tuesday, April 2, from 11:30 a.m. to 1 p.m. The sole entrance point for the track are Hart Place and Seaside Way, just south of Ocean. Free event parking is available at the Terrace Theatre Parking Structure. For more information, call 562-570-5333.